Active subwoofers are usually connected to the (pre-) amplifier or receiver via a mono cable. 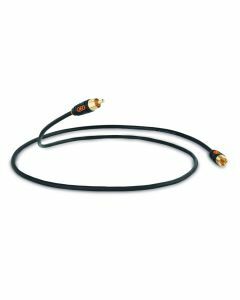 QED offers a range of low loss cables and stereo adapters at Profile, Performance and Reference level. 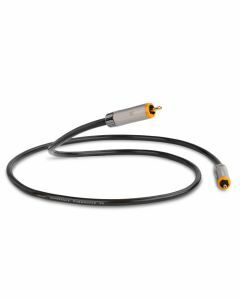 A Zn/Mn Ferrite jacket is used within the Audio 40 cordage to absorb very high frequency noise components outside of the audible band that have an adverse effect on the micro-timing of the audio signal. 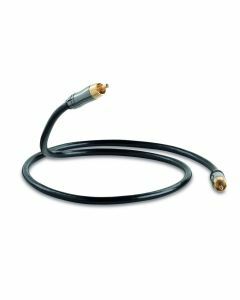 When measured at very high frequencies, Audio 40 cables exhibit cleaner signal transmission than ordinary audio interconnects. 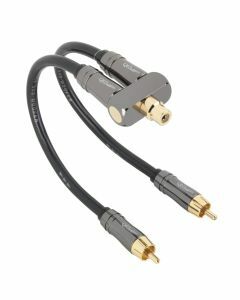 Low eddy current locking phono plug design utilising gold–plated pure copper contacts for a long lasting low resistance connection without distortion or loss. Provides increased conductivity especially at high frequencies for improved fidelity.